There are so many needs in this world, but one of the most significant problems is a very basic one: hunger and malnutrition. I know this problem is not isolated to communities in Africa — or even in third world countries. Right here in America, there are children and adults who go hungry. There are children who go home from school and have no food at all over the weekends. Most of us cannot imagine what it would be like to literally have nothing to eat. I know I have definitely complained when we’re somewhere and there aren’t many food options or when it’s 5 p.m. and I need to make dinner again. But can you imagine what it would be like to have nothing to eat in your house — not a scrap of food? And what it would feel like to be hungry but to have no way to pacify that hunger? Think how hard it would be if just trying to find a way to eat that day was your sole pressing existence? That’s what it’s like for thousands and thousands of children in South Africa. 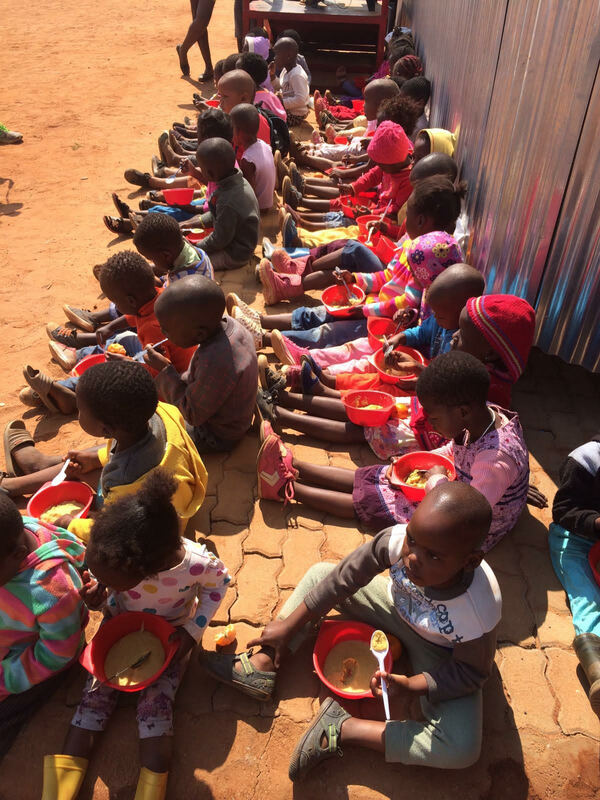 They live in some of the poorest areas in Hammanskraal and they are accustomed to not having food in their house. Because they can’t afford to buy it and many don’t have parents to provide it for them. When you have an empty belly, it’s hard to think of anything else. You can’t function well. You can’t dream or hope or think of a life outside of the confines of poverty. You just want to eat. 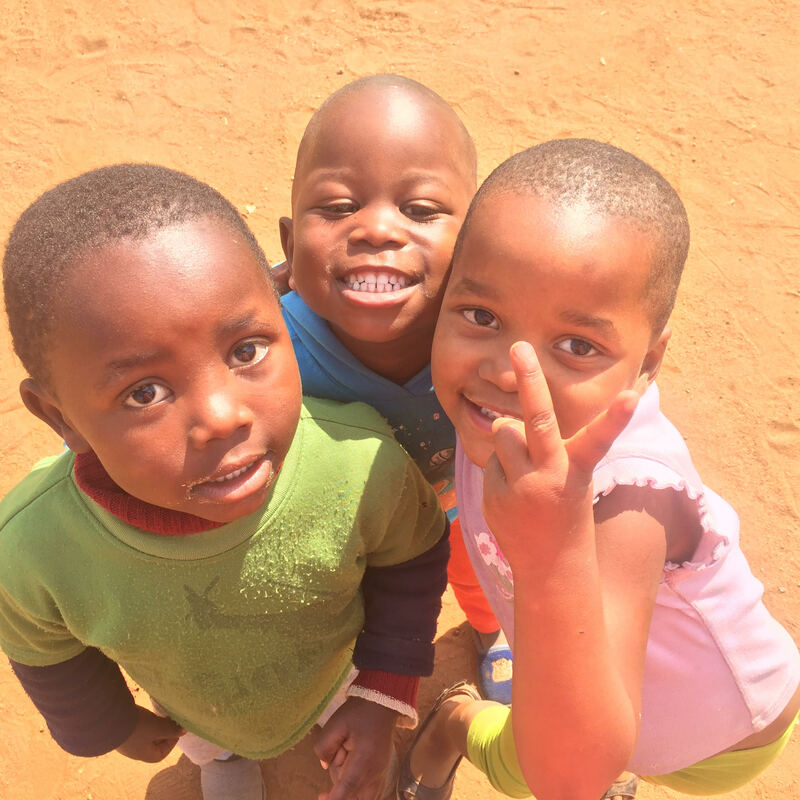 As we witnessed on our trip to South Africa, one of the foundational programs that provides for hundreds of children (around 1800 children daily!) is a way for them to have nutritional food in their bellies. 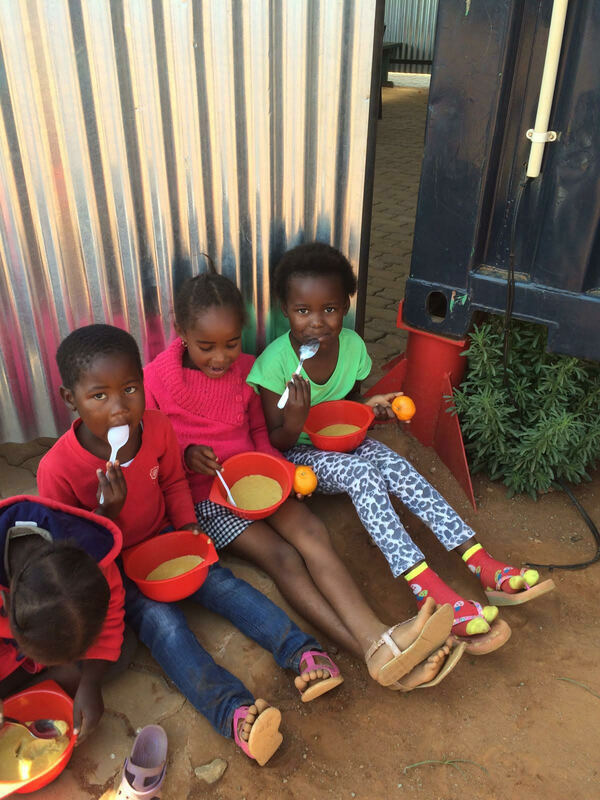 They’ve partnered with to provide the most needy children with a bowl of JAM porridge every day — or sometimes even twice per day — at their Centres. This porridge might seem like a small thing, but it makes a massive difference in these communities where hunger is such a pressing problem. It allows kids to know that every single day they’ll be able to get at least one meal — and it’s a meal that provides almost 80% of the nutritional needs children have each day. When kids don’t have to suffer from hunger and malnutrition, they can concentrate better at school, they are able to thrive instead of just barely survive, and they don’t have to live in constant fear of going hungry. begins in areas by providing this to the neediest children. Then, once they have that program in place and running on a daily basis, they are able to move on to more impactful programs, like providing educational and entrepreneurial resources and opportunities to help a community have the tools to rise above poverty and teaching communities how to grow their own gardens and provide fresh food for themselves and food that they can sell or give away to others in their community. 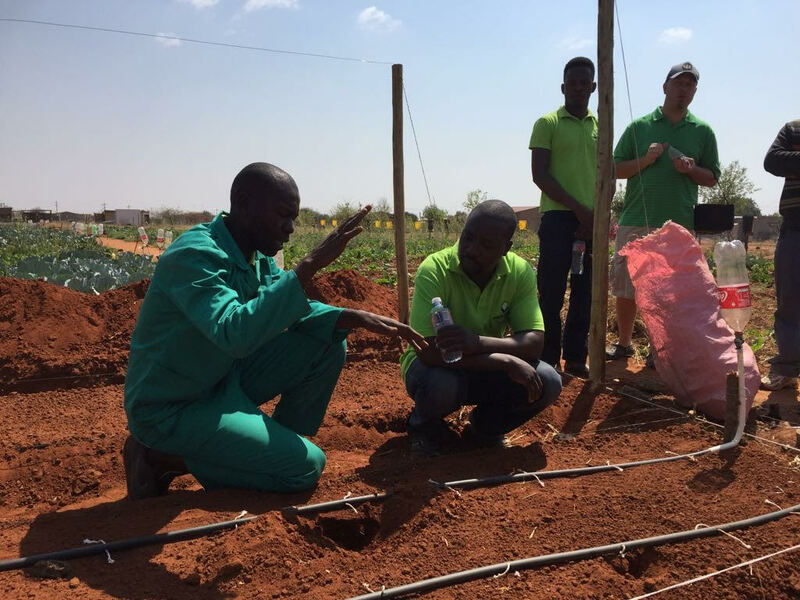 The Agricultural Program that they are working on rolling out in multiple communities right now is incredibly impressive. We got to meet some of the gardeners and see them in action and it was mind-blowing the techniques they are using. 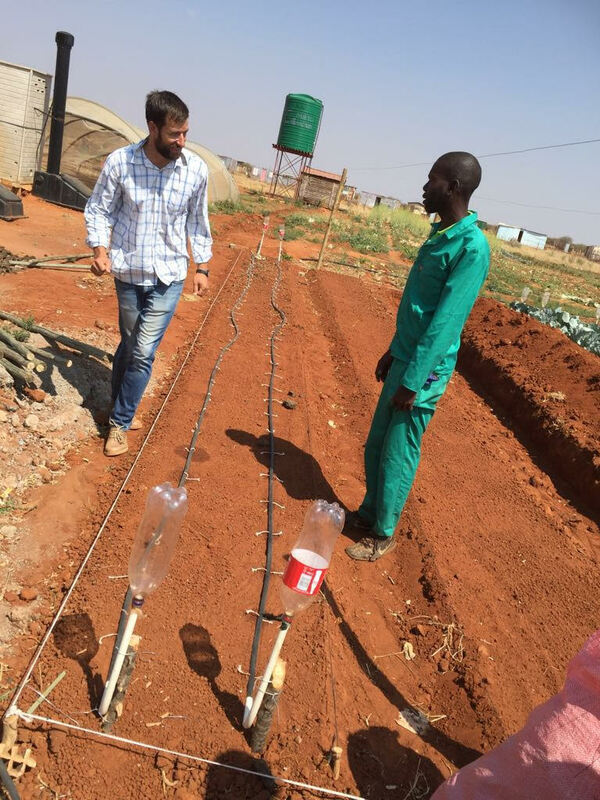 They take basic materials that they get for free — old aluminum cans, dried leftover plants from old crops, and more — and they have a process for turning it into really fertile soil that produces great crops. 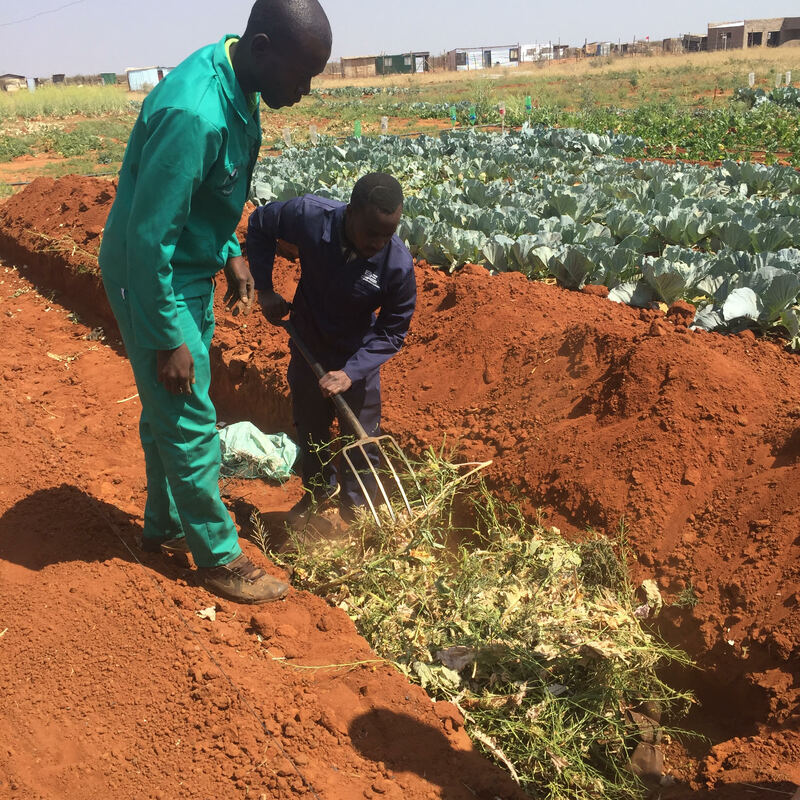 It’s really amazing how they’ve discovered ways to take what they have on hand and turn it into successful gardens that provide fresh food for their families and extras that they can sell and earn a side income or even a full-time income! The best thing of all about the Agricultural Program is that it gives these poor communities something to take great pride in. They see the fruit of their effort first-hand, it provides great benefit to their families, it gives them a marketable skill, and it helps them feel worth and value as a person — something that is often lost when poverty is so intense. 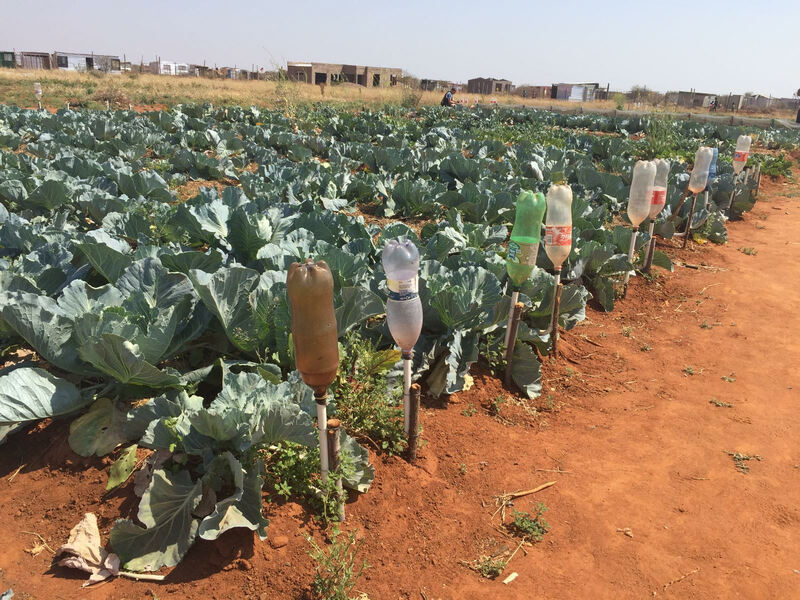 The seeds that are being planted through this program are reaping much, much more than just vegetables for this community; lives are being transformed by the dignity and hope that this is restoring to what once felt like never-ending hopelessness. We’re HOME After 10 Days in South Africa! How can we donate to this ministry? I know you will not post this comment; however, I have been following your blog for many years. Its very interesting how you “have grown” and seem to have lost your humble beginnings. You might as well have a disclaimer on your heading stating – Advertisement because this is what this blog is. Ever since you moved to TN and had a marketing company run your website, you are not the same person. So you had a trip to Africa paid for and now you are pushing this “charity” on the readers of your blog.. Did you even take time to review the ministry? Don’t you find it appalling that they own a over a million dollar building in Washington DC – yet all they can do is feed child porridge? How about those hefty salaries the board members receive along with the pensions and annuities? What amount of any donation actually gets to the children? What I find interesting, is what was this trip for exactly? Did you help build anything? Did you bring the children food/clothing/supplies? No.. It was an opportunity to write something else on your blog.. There is not written about what the purpose of your trip was other than to push the Jam Ministries..
“I have a lot of posts I want to share in the upcoming days with various stories from the trip, lessons learned, things that especially impacted me, lots and lots of pictures. But before I get to those, I wanted to start by sharing some of the backstory on the trip and what the purpose of the trip was.” But I thought this was about the children and not you! Just to clarify, I got paid nothing to write about JAM. I’m so sorry if that wasn’t clear in this post. I would *never* feel comfortable writing an advertisement post like that and per FTC rules, would need to disclose very clearly if I were getting paid to do so or had a financial relationship with them. 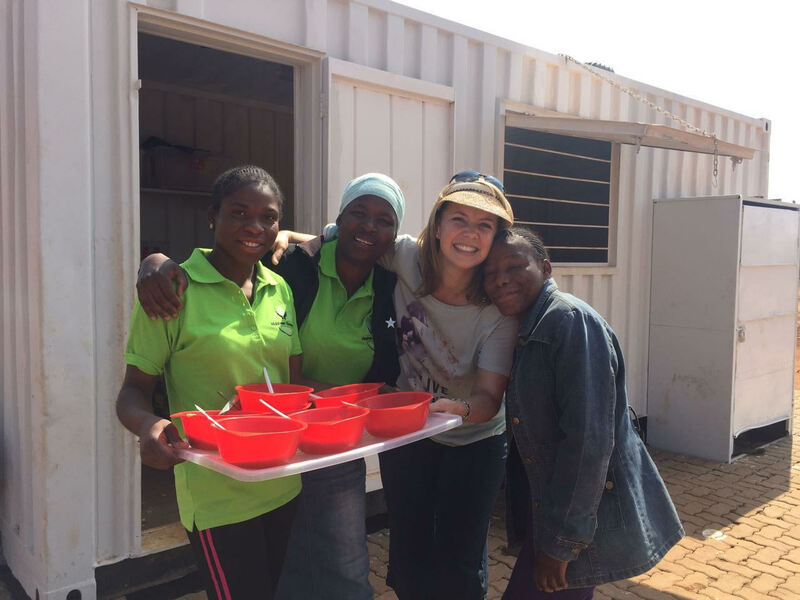 They are doing *amazing* work in South Africa and making a big difference, but I don’t have any ties to the organization nor do I know much about them other than my firsthand experience with the porridge… I just wanted to share because I know that their porridge is helping to feed thousands of kids every day. 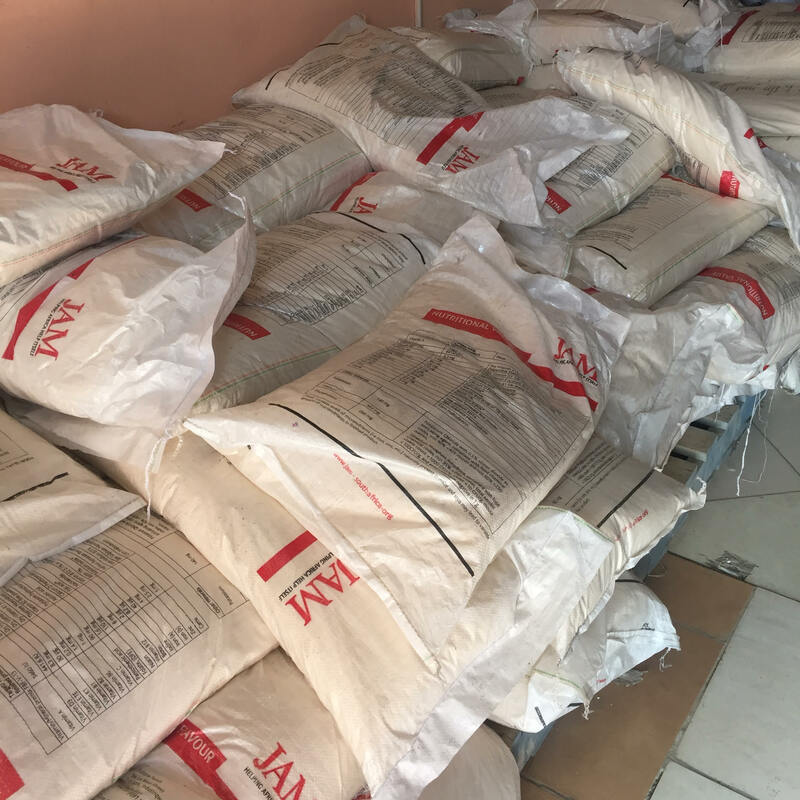 They get sponsorships for some of the costs of the porridge and then organizations like Take Action Ministry pay a portion of the costs in order to feed the kids. I outlined why we didn’t build anything… our family helps to fund the daily operational costs of Take Action Ministry every month so we’re helping to pay for supplies/food, etc. on a daily basis. We love to get to go and visit them to encourage them, assess needs, see the progress, and just encourage them in the work they are doing. It’s a very important part of the ongoing relationship! And just so you know, we paid out of pocket to go on this trip and profit nothing financially from anything we do there. We just love the people and feel called to minister in this realm and are honored to partner with ministries like Take Action Ministry. And one more thing to clarify: We know longer are working with the management company you mentioned. The site is run by my husband and me, as well as a great team who helps out. But all decisions are made (ultimately) by us. 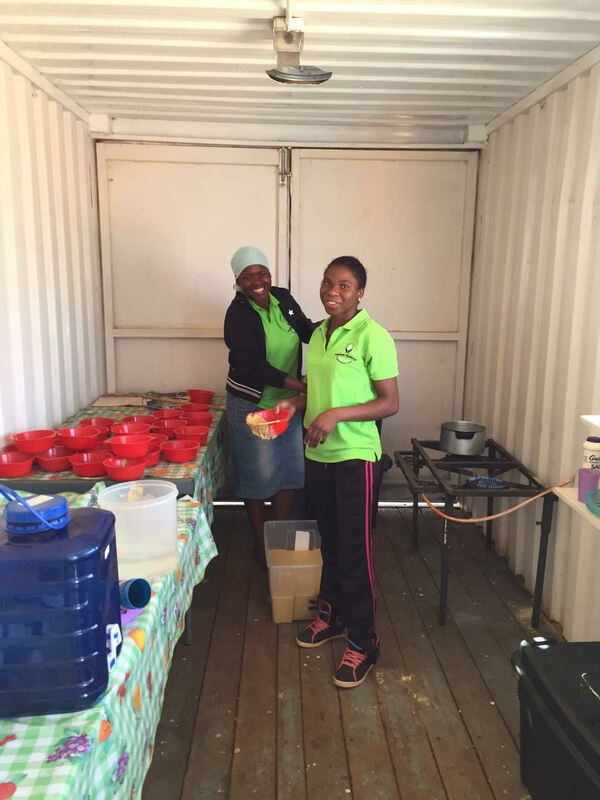 We are SO grateful that this blog not only provides an income for our family and for other families on our team, but also allows us the opportunity to make a BIG difference in lives of families in the US, as well as in places like the DR and in South Africa. It’s amazing to think that babies and kids are literally *alive* and have hope for the future because of this blog! It humbles me every day. I hope that helps to clear up the confusion there! Although I read your blog frequently, I’ve never commented. I just wanted to say I can feel how discouraging it must have felt to read that comment and wanted to commend you for addressing the concerns in a kind manner. I enjoy reading what you’re up to (and about some deals too!) Thanks for setting a good example Crystal! Thank you for using your site to make us aware of needs throughout the world and people who are helping to solve them. You know that you are following God and what he wants you to be concentrating your efforts on. I am convicted when a person has the means to live extravagantly and yet chooses to continue living simply to help others live. That is a powerful message. Thank you, Crystal, for using your voice to care for the littlest ones among us. As a mom it brings tears to my eyes to think of the despair that would come with seeing my children starving. To have nowhere to turn…it’s heartbreaking. Unfortunately there is some degree of bureaucracy that comes with any non-profit. They need to raise funds, jump through legal hoops, handle international relations– all that takes talent and experience. It is our job as givers to hold these organizations accountable, for sure. But an organization that invests in infrastructure and talented leadership is not necessarily wasteful. Do you know if they are helping pregnant women with food? I’m pregnant right now so it’s on my mind how much nutrition I’m getting for my baby. I’m wondering how they are supporting women with developing babies. Thank you for sharing! I agree that your blog has changed (for the better!) as you have grown. I am always thankful for those willing to share their heart and to learn about new organizations that are truly making a difference in the world. Thank you for sharing where God has lead you on this journey to connect with South Africa! I’ve been reading your blog for years and years(I first started reading your Biblical Womanhood blog! 🙂 and I can’t say enough good things about the direction you’ve taken your blog and the sweet humility that shines through in every post. It’s amazing to see the journey God has taken you on, and I love your heart for those in need. Thank you for sharing about this ministry with us! I am curious if the seeds planted are indigenous to South Africa or from seeds which are native to the western world. Are they obtained from the large bioscience industry? Hi Lisa. Very few vegetables are indigenous to South Africa. I have lived in SA all my life and am an avid food gardener and other than a kind of gourd (pumpkin), some edible weeds and grasses including a kind of spinach that grows in damp, boggy areas (the area Crystal visited is very dry) and potentially a kind of lemon tree, I am not aware of indigenous foods. If what you meant was if the seeds are of local origin or (non) GMO, then I cannot comment except to say that all of our commercially available seeds have links to Monsanto and are mostly either hybrid or treated. We don’t import seed (that I know of) so its likely it would be locally produced. There are a few small family or NGO run heirloom seed suppliers but they are small and generally unknown by most.